School is officially back in session! For some of us (particularly my area) school went back in session in July. For most, traditionally school is back in full swing by the end of August and beginning of September. The new school year always brings about a sense of a fresh start. Especially when it comes to getting back into a routine. 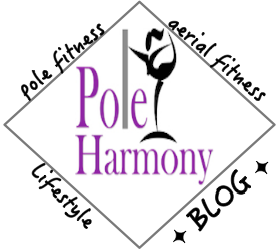 As the summer activities comes to an end, it's time to get back to fitness classes- pole classes, aerial classes, yoga classes, or any fitness style class that peaks your interest. I love the sense of having an organized weekly routine. It keeps me motivated for working out. I have to admit, the summer months are a little touch and go when it comes to my fitness class attendance. It's hard to maintain a structured routine when random outings, friends, vacations, or events come calling due to the beautiful weather. Working out in the summer doesn't always work for me when it comes to having to stick to a particular class time. A lot of my workouts consisted of long walks through the city to the various parks, kayaking, riding my bike, yoga at home when convenient, or the occasional pole workout when I felt motivated to get one in. I like to think of this time of the year as how the new year's resolutioners think of the month of January: a time to get busy on those fitness goals. The great thing about school starting season is the gyms aren't jam packed like they are in January so you can get in a workout or attend a class without having to worry about fighting for a parking space at the gym, snatching that only open machine, or not kicking or hitting the classmate next to you because your yoga mats are mere millimeters apart. And let's face it, January resolutions have the stigma for failure. Make your resolution now in August and you've got a leg up on the competition come January when your routine will be hardwired into your lifestyle leaving you with a better chance of successfully staying on track.